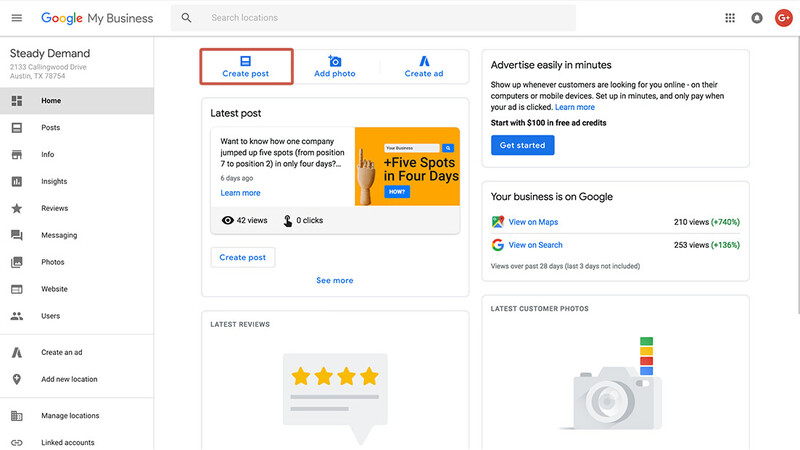 Google’s new product which allows you to create social content right from within search engine results is called “Posts.” It’s a product that has been in testing for some time and is now accessible to all Google My Business customers. As a business owner, you’re probably wondering how to make the most of this new tool. 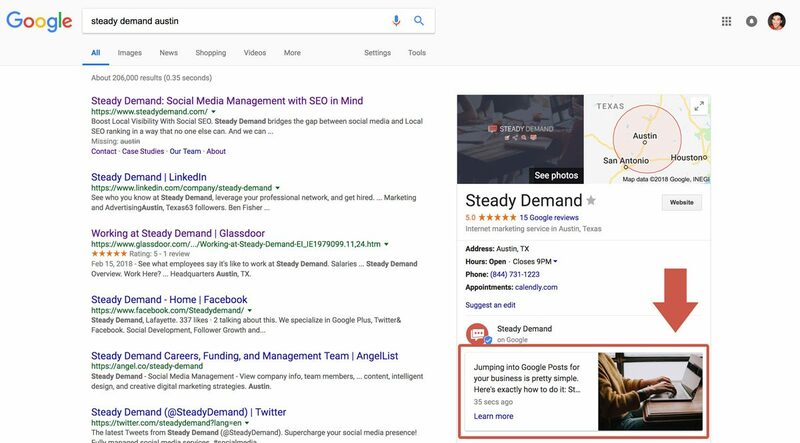 Steady Demand is the #1 rated Google Posts Provider. 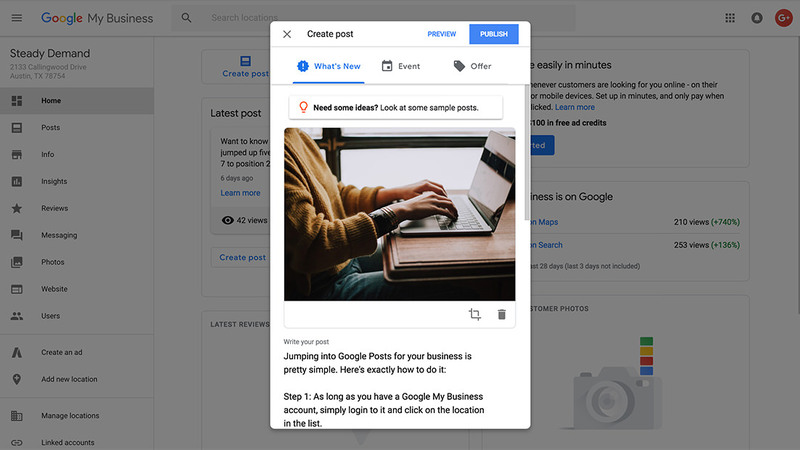 If you’d like to skip all the details and get started, our team is ready to start making Google Posts work for your business. Get started. 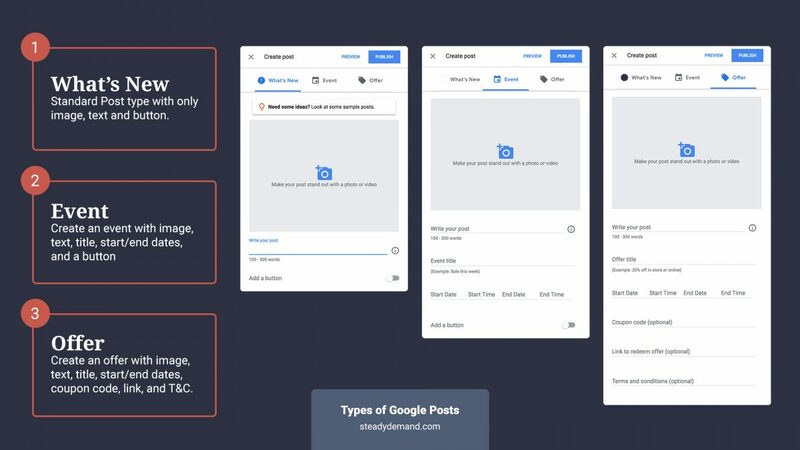 In this post we’ll go through all the important details about what Google Posts are, why you should use them, and what specifications you need to know about before getting started. As a side note, almost all GMB Posts will publish. If you get one rejected the best way to contact google my business for help or support is here. Google Posts is a feature that allows people and businesses to create content directly on Google which appears highly ranked in Google search results for their names. Basically, if someone is searching for your business on Google, you can create these posts which will appear in the Knowledge Panel. This is a great way to show your customers (or potential customers) that your business is active and build trust with them. 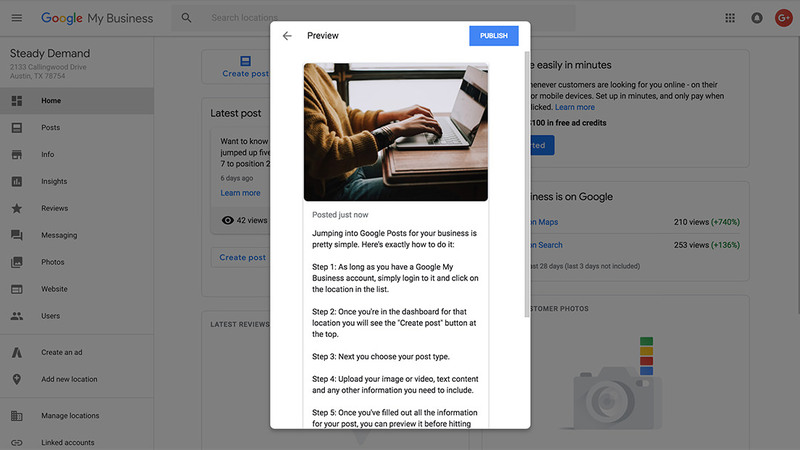 What’s new: the simplest form of Google posts which allows you to upload an image or video, add text content up to 300 words, and add a call to action button(link). Event: this allows you to give an image or video, text content, event title, event start/end date/time, and a button call-to-action. Offer: this type of post allow you to add an image or video, text content, offer title, start/end date/time, coupon code, and a link where customers can redeem the offer. Product: this type of post allows a company to list out products (or services) that include a title, description, price (or price range), and call-to-action button. Utilizing these is a key part of getting the most out of posts. More on that later. Regular posts (“What’s new”): these will live for a maximum of 7 days before they will be “Archived” from the page. 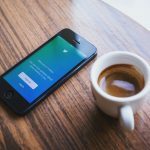 They will still be accessible, however, if a user clicks on a current post and keeps scrolling. Event and Offer posts: these post types will remain on display until the end date that you have specified. 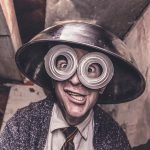 The idea is to create regular, “fresh” content for your posts. How Can I Start Using Google Posts? As long as you have a Google My Business account, simply login to it and click on the location in the list. Once you’re in the dashboard for that location you will see the “Create post” button at the top. Next you choose your post type. Upload your image or video, text content and any other information you need to include. Once you’ve filled out all the information for your post, you can preview it before hitting publish. Once your post is published you will be able to see how many views and clicks it gets from your dashboard. As you can see, getting started with posts is extremely easy to do. Now, the real trick is making the most out of each post. As we stated earlier, Google Posts are limited to a maximum of 300 words. But they also give you the ability to upload an image or video as well as add a button CTA to go along with your written content. So how can you get the most out of both the written and visual aspects of Google Posts? Let’s break it down. Since you only have 100-300 words to work with, it’s best to be concise. What are my potential customers searching for? What kind of utility can we offer to our customers that demonstrates that we are great at what we do? What might make our customers smile if they came upon it while doing a search? You must get into the mindset of your customer and figure out what kind of content would be beneficial for them. 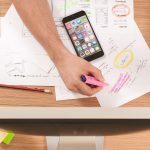 Also, being as this is written content that will be associated with your brand inside of Google, you’ll want to make sure you’re doing proper keyword targeting. Google will allow you to upload an image or video of any size, however the upload interface will force you to crop your media to a specific size. Take a high-resolution photo reinforcing your message so your post stand outs. Photos should be simple, direct, in-focus and well-lit, with bright, vibrant colors. At a minimum resolution of 720px wide by 540px tall, in JPG or PNG format. We accept the following file formats for video: AVI, MP4, MOV, FLV, WMV, MPG, M4V, MKV, M2TS, and MTS. The maximum size for videos is 100 MB. So, what is the optimal size for a photo? 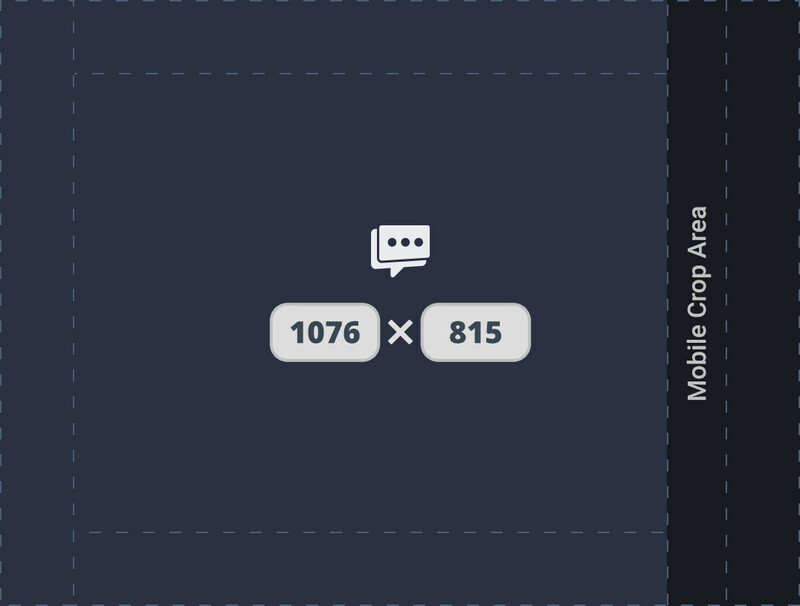 The answer is: 1,076px by 815px. So, if you want to upload an image that has very specific focal points and don’t want Google to decide what to crop for you, you’ll want to have this handy template. Right-click and “Save as” to save this image and use it as a blueprint for your Google posts. You’ll notice there is a “Mobile crop area” in the template. This is because on mobile, the display size changes slightly to be more square. So just keep all important elements or focal points outside of the dark blue area. The other broken lines on the template represent a “frame” area where I would recommend you keep it free from focal elements (such as logos, CTAs or text). This will create a good amount of whitespace around the edges of the image, making your image look more professional. If you want the .psd version to hand off to your graphic designer, just add your name and email below, and we’ll send you the download link. Once we’ve confirmed you’re a real person, we’ll send the download link straight to your inbox. Joining our email list also means you’ll be notified of new blog posts and the occasional marketing message. You can unsubscribe any time. You may be tempted just to paste in a standard link and call it a day. And you can do that and just keep an eye on the click count that Google will track for you. However, we highly recommend that you instead use a link that has UTM tracking parameters added to it. 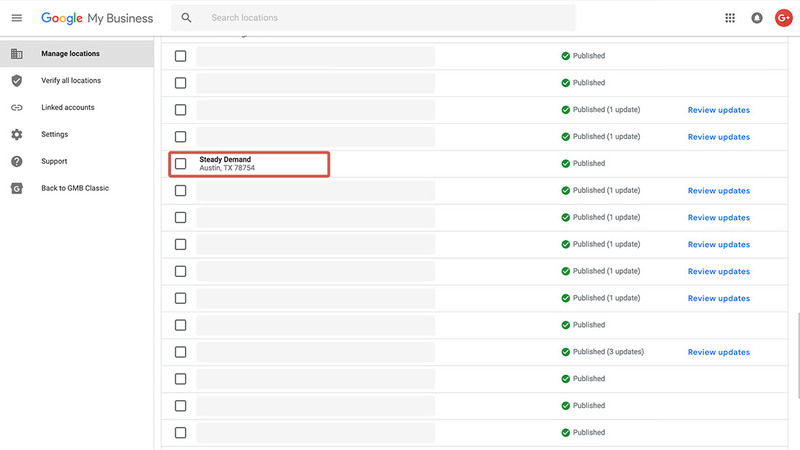 This way, you can not only see how many clicks the button is getting, but you can also track the traffic inside Google Analytics (as long as the link you’re using is leading to a web property you own). Not familiar with UTM tracking? Sendible has a great article on UTM tracking by David Hartshorne that I highly recommend. Google Posts are a great way to show your customers and potential customers that your business is relevant, knowledgable, and actively participating in the conversation about things they are looking for. The great news is that this isn’t even something you need to add to your already long list of marketing tasks. Our team has been working on this product since before it was publicly released. And we know it better than anyone else. 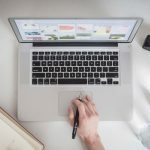 We have put together a low-cost solution for business owners who want to take advantage of Google Posts with well-written, highly targeted, and completely hands-off content. 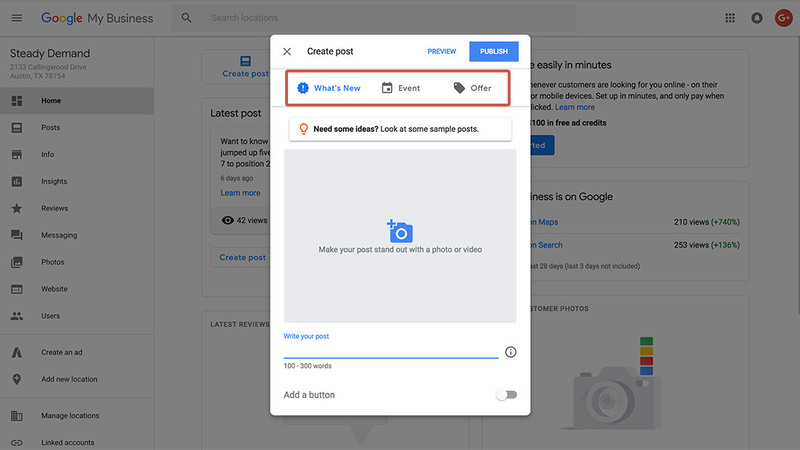 Get started with Google Posts!